Eating healthy and working out make a huge difference in my depression and anxiety. I’ve done every fad diet and exercise trend that ever hit the market but it never sticks. These are the easy and sustainable things I do to stay healthy even when I’m feeling lazy or unmotivated. If you’re feeling overwhelmed with all the lifestyle choices you feel like you need to make just pick a few things and start with those. Making small sustainable changes has been the easiest way for me to maintain a healthy lifestyle and not just giving up when I make a mistake. If you’re looking for more healthy resources check out my podcast episode on exercising to manage mental health. I also offer limited coaching for babes looking to get big results fast through my Total Transformation Tribe. This seems like the most obvious thing in the world but I’m willing to bet that you’re not drinking enough water. Once I started drinking tons and tons of water I found it was a lot easier to avoid junk food and eating crap in general. I invested in a water bottle that keeps my water ice cold all day long and started carrying it around with me everywhere. I try to refill the bottle five times a day. Set a goal for how much water you want to drink today and challenge yourself to stay super hydrated. This is one of my favorite ways to save calories and eat more veggies. I am lazy as heck so I buy the cauliflower rice in the frozen food section so I don’t even have to grate the cauliflower into rice. It takes a little bit of practice to make the rice taste good but start out by using your favorite seasonings. It tastes pretty terrible on its own but the good thing is that it will end up tasting like whatever you cook it with or season it with. I’ve even used taco seasoning when I’m making burrito bowls. I’m not the type of person that loves to eat salads so I am always trying to find sneaky ways to get more veggies. My favorite nutrition shake has a bunch of servings already in it so that helps me get closer to my daily dose of veggies. I keep a frozen bag of spinach in the freezer and throw that in my shake too to give it an even bigger boost. You can’t taste the spinach so it’s a great way to sneak in some fresh greens first thing in the morning. Find a really good salad dressing you like and don’t be afraid to add cheese or whatever you need to make your veggies taste good throughout the day. 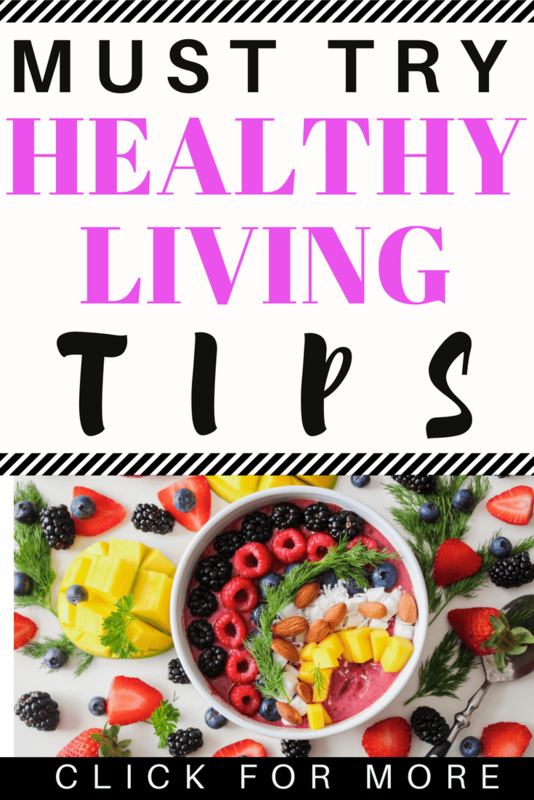 If you want some ideas about eating healthy on a budget check out this post. I try to go to the gym every day but it doesn’t always work out. I use the 30-minute workouts from Beachbody on Demand when I can’t get to the gym. I love these workouts because I can do them anywhere and they’re great for traveling or on days when I just don’t have time to get to the gym. If you don’t want to pay for a subscription check out my post of free ten minute workouts. Ten minutes of working out are better than skipping a workout day all together. I always try to challenge myself to do something even if it’s short so that I get a little bit of exercise every day. If I’m tired all of my good intentions for being healthy go right out the window. I’m much more likely to go through a drive-through and skip my workout when I’m feeling exhausted. If I am really struggling with sleep I will take some melatonin to help get into a good sleeping pattern again. My biggest sleep tip is to start reading a book at night instead of using your phone. I have been spending way too much time on social media at night and I often end up reading something sad right before I fall asleep. I’m trying to read personal development books instead of looking at my phone. Right now I am reading and loving this book. It’s can be hard to find a workout that you actually like doing and can commit to. I have been really like home workouts lately. I use an on-demand library that has a huge variety of workout programs that I can do from my house. They have a lot of really good workouts that are only 30 minutes long which makes it really easy for me to commit to doing. Even if I can’t get to the gym I know I can still get in a good workout no matter what. It is important to find something that you like doing and have time to do. If you don’t have a workout you like doing try something new. Sign up for some dance classes or fitness classes in your area. You might have to try a bunch of different things until you find something that you are willing to commit to doing every single week. I recently gave up alcohol and I haven’t looked back. Over time my lifestyle became more and more centered around drinking. Most of my social life involved going to the bar for happy hour or getting drinks at brunch. 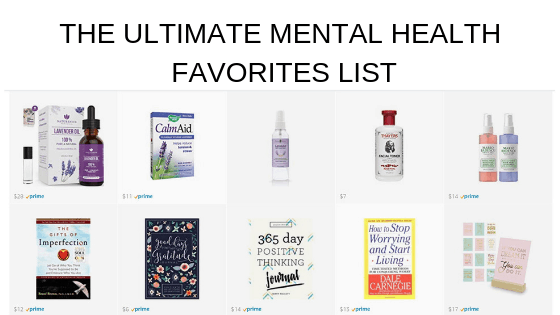 I didn’t realize how much those drinks were impacting my mental health until I gave them up. I get better sleep, feel more creative and get more done now that I’ve given up alcohol. I still let myself have a drink or two on occasion but I cut back from 2-3 times per week to once a month. If you want to do something great for yourself and your health I suggest cutting back or cutting out alcohol. It really made a big difference in my overall happiness and wellbeing.